Whether it is a result of your genetics, your habits such as your daily intake of coffee, or just the natural process of your teeth aging, whiter teeth are desired by many of our clients. We recommend and offer a home whitening system that can help brighten your smile. Professionally managed tooth whitening is safe and effective for most people. If whiter teeth is something you are looking to achieve, we would be happy to help you reach this goal! We would begin by assessing your teeth to see if a whitening system would be a good option for you. Once ready to proceed, we would take impressions of your teeth to fabricate custom trays for the whitening solution to be applied to and then worn for short periods of time until your teeth return to their natural brightness. 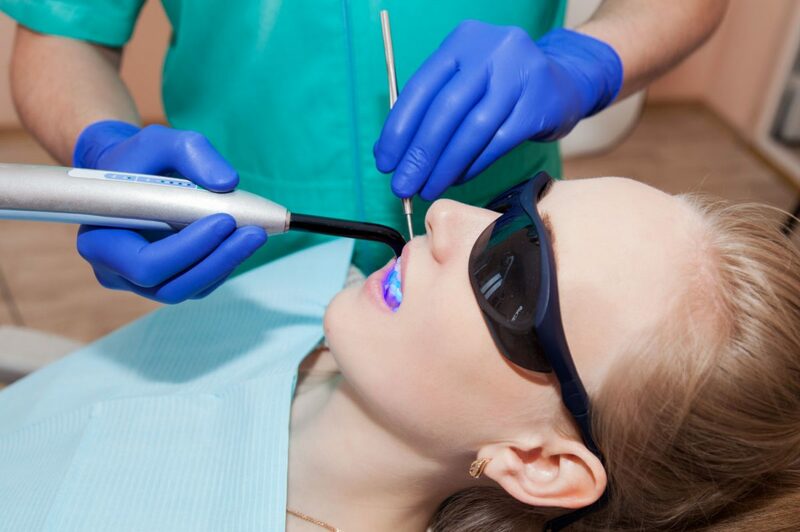 Clients often ask if there are any risks with teeth whitening and we can assure you that with thousands of patients having whitened their teeth there are no long-term effects to your oral health when you professionally whiten them. Call us now and we’d be happy to help you achieve your whitest smile!